Most friends and officemates of Tutubi when asked about Boracay will answer it's expensive there particularly food but when asked where they eat, they'll always answer they eat out at various restaurants on the beachfront, hence the pricey and touristy price tags. 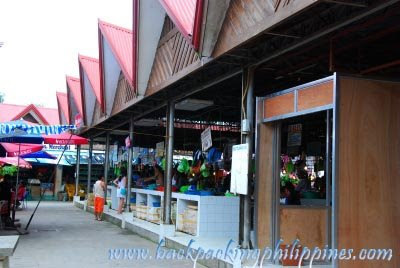 D'Talipapa, located near Station 2 and walking distance from White Beach particularly near Boracay Courtyard, Sunset Beach Resort and Culpepper Lodge, is a public market where you can buy souvenirs, vegetables, meat, and other food items at a low price. There's also a service called "paluto" where you can buy your own ingredients, mostly seafood, fish and meat and have them cooked for you for a small fee based on "per kilo" price similar to Manila's Dampa and Seaside buy-your-ingredients-and-we'll-cook-them-for-you paluto system. On Tutubi's last night in Boracay, he met a Bulgarian enjoying life in the island with his Chinese girlfriend (sick due to SCUBA diving lessons) and told him many Europeans, including Bulgarians, come to the Philippines for cheap seafood (Bulgaria doesn't have seafood even if they have access to the Black Sea). 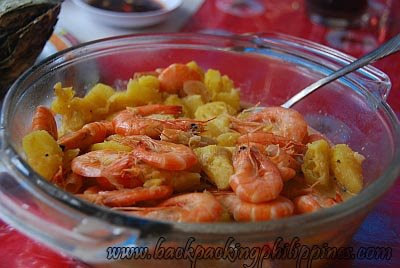 It seems only people allergic to seafood won't enjoy Talipapa. Visiting and living on Boracay Island need not be expensive! Ask a local to ask prices and buy for you. Asking vendors the price will cost you more. If you don't know anyone, linger around a particular vendor until a local inquires about the item you're interested in. That way, you will be quoted the local price and not a tourist's price tag. From White Beach, you can just walk towards station 2 near La Carmela and/or Boracay Swiss Chalets until you see the signs pointing to D'Talipapa. Enter the narrow alley until you see souvenir shops and market about 50 meters from the beachfront. D'Talipapa is just a short tricycle ride from Station 1, Diniwid Beach, Bulabog Beach or from any point in the island. great! 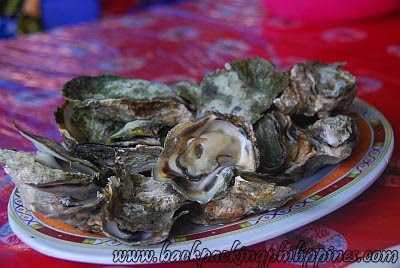 i always love talipapa and dampa and even cebu's sutukil. fresh and tasty seafoods are the best. But I confess your seafood looks great. Will remember this when I go back to Boracay! I love seafood! I guess in every country that we live in there'll be a place where we can find good food. yes, it's not really expensive to go to boracay, especially if it's all expense-paid trip. hehehe. that's what i experience for the both times i had been to boracay. hehe. the dong, barato na lami pa! kyels, yep. you just have to know where to find those usually secret places. Hey, that fish market looks pretty neat! Wow, food is always a major focus for me on holidays. 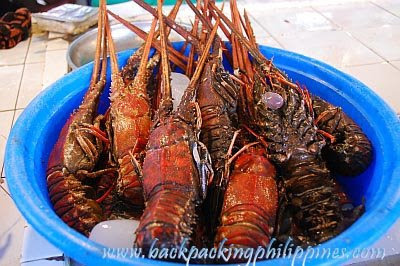 With those fresh lobsters and oysters (can't believe how cheap they are), Boracay is really a perfect destination! hmmmm .. yummy and mouth watering post. can't help but think about those shrimps. Bigla naman ako naglaway (excuse the word) sa lobster. i usually cook it in butter and lots of garlic. yummy. 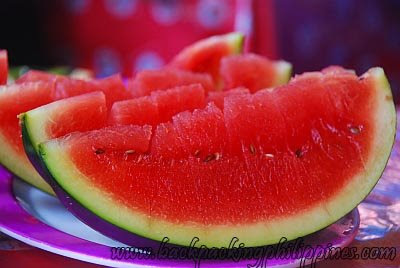 That looks soo good. I am leaving the office now to eat. cool--tips are great and so are the pictures. made me hungry. just dropping by to say hello, i have been out of circulation for a while, as i have been very busy. hey this is a great post! 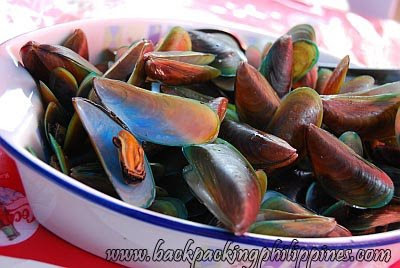 i've always been going on about how one can get good food cheap in the philippines, but some friends who went to boracay were blown away by the 'resort' prices. will forward this to them. cheers! Nagka diarrhea ako after eating there! I went to Boracay last February together with my wife. It's so disappointing that we did not visit this place and just stayed at Station 3. Thank you for the information you have shared. Hopefully I can visit the place once I get back there. visit at d talipapa boracay and u find plato d boracay resto accepting cooking service. Just visited d'talipapa and they sell overpriced seafood.